For start-up companies looking to make chips with nanoscale features for sequencing DNA or wafers for industrial barcode printing, the equipment costs to fabricate those parts could easily devour every last dollar of seed funding. 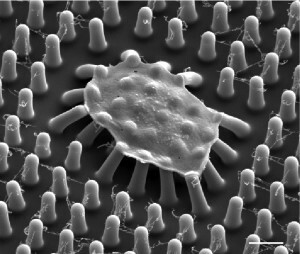 The same goes for grant-funded researchers designing quantum information devices or micro-scale sensors to measure cell movement— which is where the Washington Nanofabrication Facility comes in. The WNF makes things that aren’t practical, economical or possible to fabricate at commercial foundries — inconceivably tiny parts, chips made from unconventional materials that industrial factories won’t touch, devices that probe the boundaries of our universe. Part of the National Nanotechnology Infrastructure Network, the lab on the University of Washington campus is the largest publicly accessible nanofabrication facility north of Berkeley and west of Minneapolis. To serve growing demand for nanofabrication services, the UW Board of Regents has approved spending up to $37 million to renovate the facility, which is housed in Fluke Hall. The overhaul, scheduled to begin in November, will upgrade basic building systems and roughly double the amount of highly-specialized fabrication space that academics and entrepreneurs increasingly rely on to build innovative devices. The “fab lab” in Fluke Hall — currently used by 48 UW faculty members and 134 students — has supported $32 million in UW research grant funding this year. A third of its 223 users are with commercial companies, which range from multinational corporations to UW spinouts to minority-owned local start-ups. Regional demand for nanofabrication services is growing rapidly, with WNF revenues nearly tripling in the last four years. “The Washington Nanofabrication Facility is vital to my existence,” said Jevne Branden Micheau-Cunningham, who launched a new company called FLEXFORGE six months ago. He’s using WNF equipment and expertise to manufacture nanoscale electronics with applications in the automotive, aerospace and medical devices industries. 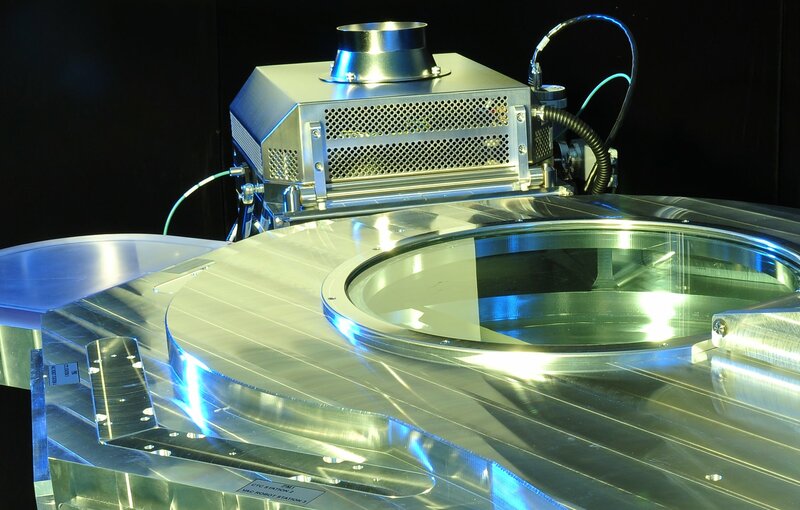 The WNF houses nearly 100 different pieces of equipment that perform everything from electron beam lithography and atomic layer deposition to plasma etching and wafer bonding. User fees paid by academic and non-university clients are invested back into the facility. Applications for the devices those tools enable range from tissue engineering and silicon photonics to semiconductor technologies and basic scientific research. 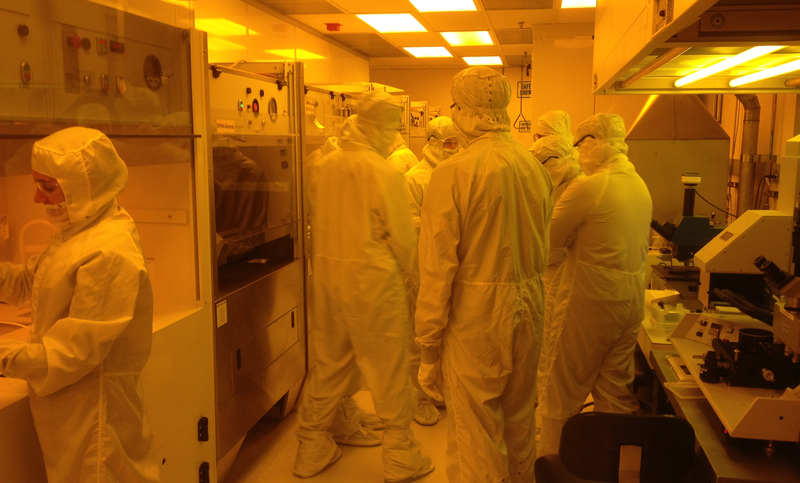 The UW assumed ownership of the nonprofit nanofabrication facility in 2011, which was formerly run by the Washington Department of Commerce. Through private donations, grants, UW funding and corporate gifts, the lab has invested in excess of $8 million over the last four years to modernize tools and equipment. But the infrastructure in Fluke Hall, built in 1988, needs upgrades to meet basic safety and environmental standards and the highly specialized needs of nanofabrication users. The renovation, which will be done in three phases over 14 months to minimize downtime, will allow the lab to better control temperature, humidity and air quality inside the “clean room,” where unwelcome fluctuations can poison an entire production line. By helping fledgling companies realize prototypes and develop scalable production processes, the WNF plays an important role in the region’s innovation ecosystem. With funding from the Washington Research Foundation, the lab has awarded $140,000 in Microfabrication Commercialization Grants that help bridge the gap from academic or applied research to commercialization of micro-fabricated devices. So far, those grants have supported two UW spin-out companies. The nanofabrication lab also offers an undergraduate research program for students who spend up to three years learning how to calibrate and operate the highly sensitive and specialized equipment. This summer’s program will include 20 UW undergrads, up from three in 2011. The electronics industry workforce that spurred the development of personal computers and mobile devices is aging and retiring; nationwide there is a shortage of engineers entering the workforce to backfill essential positions and skillsets. By training students in real-world challenges, the WNF’s workforce development mission supports the future success of the U.S. tech industry. For more information, contact Khbeis and Böhringer at wnf-info@coral.engr.washington.edu.